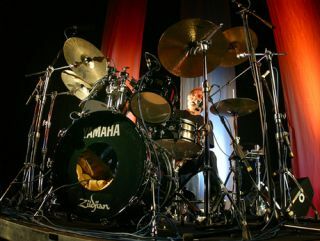 Steve Gadd seems to be chomping at the bit to get over to the UK for his highly-anticipated clinic dates later this year. The drum legend was forced to pull the shows back in April after the ash cloud left him unable to fly to the UK. But, the dates will now go ahead in September and it seems that Steve can't wait to chill out with his fans. He said: "I was disappointed that we had to postpone the first few dates, but am looking forward to getting to the UK and Paris in September and hanging with all the drummers." Until then you can check out some classic playing with our Steve Gadd Career In Beats feature.